NEW ORLEANS, Louisiana, September 4, 2014 (ENS) – U.S. District Judge Carl Barbier today found British oil giant BP guilty of “gross negligence,” “willful misconduct” and recklessness for its role in the disastrous 2010 oil spill in the Gulf of Mexico. The ruling potentially opens BP up to an estimated $18 billion in Clean Water Act fines. In his 153-page ruling, Judge Barbier detailed multiple incidents of negligence and recklessness on the part of BP Exploration and Production (BPXP) that resulted in the April 20, 2010 blowout, explosion and fire that killed 11 men, sent the Deepwater Horizon oil rig to the bottom of the Gulf of Mexico and spewed oil into the Gulf for three months. BP said today that the company “strongly disagrees” with the decision issued today by the United States District Court for the Eastern District of Louisiana and will immediately appeal to the United States Court of Appeals for the Fifth Circuit. “The law is clear that proving gross negligence is a very high bar that was not met in this case. BP believes that an impartial view of the record does not support the erroneous conclusion reached by the District Court,” the company said in a statement. The Court has not yet ruled on the number of barrels spilled and no penalty has yet been determined. The District Court will hold additional proceedings, which are currently scheduled to begin in January 2015, to consider the application of statutory penalty factors in assessing a per-barrel Clean Water Act penalty. Under the Clean Water Act, the statutory maximum penalty is $1,100 per barrel where the court finds simple negligence and $4,300 per barrel where the court finds gross negligence or willful misconduct. During the penalty proceedings, BP will seek to show that its conduct merits a penalty that is less than the applicable maximum. The Court concluded that “BPXP committed a series of negligent acts or omissions that resulted in the discharge of oil, which together amount to gross negligence and willful misconduct under the CWA [Clean Water Act]. This is an additional and alternative grounds for finding BPXP’s conduct amounted to gross negligence and willful misconduct,” wrote Judge Barbier. Much of the ruling describes technical issues that caused the blowout, explosion and spill. “Notably, the decisions regarding drilling the final 100 feet, the CBL, and LCM-spacer were “profit-driven decisions,” the judge determined. “These instances of negligence, taken together, evince an extreme deviation from the standard of care and a conscious disregard of known risks,” wrote Judge Barbier. BP Exploration and Production was also negligent by pumping foamed cement without a successful stability test, the judge found. “Although cement instability did not cause the actual mode of failure (given the Court’s conclusion that the cement was improperly placed through a breach in the shoe track), it is another instance of BP proceeding in the face of a known risk and therefore lends further support to the conclusion that BP’s conduct was reckless,” Judge Barbier wrote. Environmental groups were pleased with the ruling. 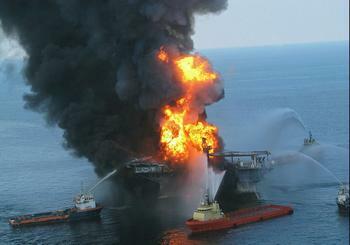 “BP’s many fatal errors and corner-cutting mistakes could be a textbook example of negligence. The fines levied against BP must reflect the scale of unprecedented and far-reaching damage to human life, marine life and coastal economies that the spill caused. “The $18 billion estimate for Clean Water Act fines is just part of the full price BP should be required to pay,” said Savitz. “According to our own estimates, BP owes Americans much more, possibly even an additional $30 billion when we consider the natural resource damages, as well as other civil penalties. “BP’s willful misconduct and gross negligence put people and wildlife in grave danger. Eleven men lost their lives. Bottlenose dolphins, endangered sea turtles and countless species of fish and wildlife perished. Studies have estimated that the oil killed an astonishing 800,000 birds and caused billions of dollars of economic damage,” said O’Mara.